When it comes to cigarettes, schizophrenics just can’t seem to get enough. They’re two to three times more likely to smoke than the general population, and patients have been known to puff through up to four packs a day. New research on mice may explain this behavior: Nicotine spurs the production of a key neural protein that’s scarce in schizophrenics–and that may help relieve their symptoms. The 100 billion neurons in our brains are continually signaling one another. These impulses are like cars zooming through a city without traffic lights to deliver a message–they would pile up and the messages would get garbled. To keep neural signal traffic flowing, the brain uses certain neurotransmitters as stoplights to prevent neurons from firing out of turn. Reduced levels of one such neurotransmitter, called gamma-aminobutyric acid (GABA), characterizes the brains of schizophrenia patients. Researchers think that without the stoplight effect of GABA, signals in the schizophrenic brain overlap and get jumbled in a sort of neural traffic jam, resulting in hallucinations, disorganized thinking, and anxiety. Previous studies have pinpointed nicotine receptors on the surface of GABA-making cells. 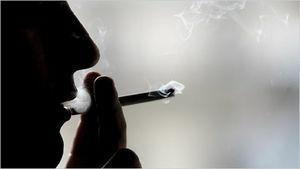 That observation, plus the knowledge that schizophrenics often abuse cigarettes and report relief from their symptoms afterward led Alessandro Guidotti, a neuroscientist at the University of Illinois in Chicago, and colleagues, to explore the connection between nicotine and GABA production. They wanted to determine whether smoking represented an unconscious attempt at self-medication in schizophrenics. The team injected groups of six normal mice with the equivalent amount of nicotine as someone would receive from smoking 20 to 30 cigarettes at a time (about one pack). Some groups received the treatment once every 3 hours for 4 days–simulating constant, heavy smoking–and the second group received the treatment only once. Mice that received the largest amount of nicotine produced up to 38% less of a protein called DNA methyltransferase 1 (DNMT1), which led to a surge in the protein that produces GABA, the researchers report online this week in the Proceedings of the National Academy of Sciences. The researchers speculate that high levels of nicotine switch off DNMT1, which is present in large amounts in the schizophrenic brain. Patients with the disorder may crave cigarettes because they are trying to tamp these DNAMT1 levels and get their GABA flowing, the team concludes. “The goal now is to study what else besides GABA is affected by the increase in DNMT1,” says Guidotti. Francine Benes, a psychiatrist at Harvard University’s McLean Hospital in Belmont, Massachusetts, says these initial findings represent an important step forward in schizophrenia research. Understanding the molecular mechanisms involved in GABA synthesis can lead to more specific, possibly nicotine-derived schizophrenia treatments, she explains. 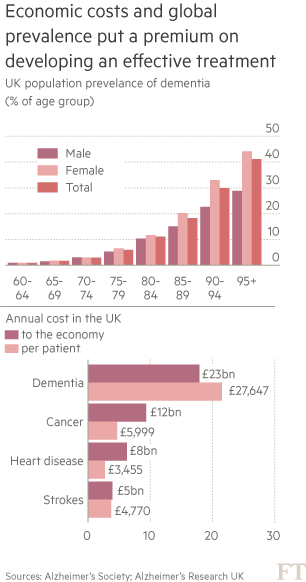 “And the more specific treatments get, the more likely they are to be effective,” Benes says. Dr. Abram Hoffer, MD (Medical Doctor), PhD (Doctor of Philosophy), RNCP (Registered Nutritional Consulting Practitioner), founder of The Orthomolecular Vitamin Information Centre. I have a PhD from the University of Minnesota, a Medical Degree from Toronto. I’m a Fellow Neuropharmacology Physician in Canada. I became Director of Psychiatric Research in the Province of Saskatchewan of the Department of Public Health in 1950 until 1967. I was Associate Professor of Psychiatry at the University of Saskatchewan; at that time I was in charge of very large research programs and we became known for our work in psychedelic drugs. Orthomolecular Treatment for Schizophrenia. COMBAT SCHIZOPHRENIA WITH THE MEGAVITAMIN AND NUTRITIONAL STRATEGIES OF ORTHOMOLECULAR PSYCHIATRY – Schizophrenia is a disease and syndrome with biochemical origins that has the hallmarks of debilitating perceptual disorders and thought disturbances. Orthomolecular psychiatry, a treatment strategy that uses megadoses of vitamins B-3 and C in conjunction with correct nutrition, yields a 90 percent recovery rate in acute cases and up to 50 percent in chronic patients. This guide by the cofounder of orthomolecular therapy offers a step-by-step approach so that patients and their families will get the maximum benefits from treatment. 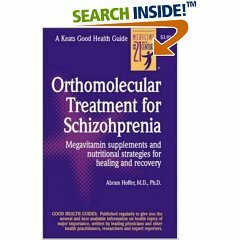 THE MAGIC OF ORTHOMOLECULAR TREATMENT – Orthomolecular treatment of schizophrenia is a comprehensive approach that includes megavitamin therapy, nutrition, and counseling of both patient and family members. This guide, written by a cofounder of orthomolecular psychiatry, outlines the strategies you will need to get an informed diagnosis, proper treatment, and appropriate, flexible follow-up for the schizophrenic patient. In fact, there’s a film called Psychedelic Pioneers, which on the first 10 years of our research, when we made our major discoveries about Schizophrenia and about the use of vitamins as a potentially good treatment. In 1967, I resigned from my two jobs. They were nice cushy jobs. I didn’t have to do anything. I could have stayed there forever until I retired when I turned 65, but I didn’t want to. I wanted to help patients. I opened a private practice in Saskatoon, moved to Victoria in 1976. At the end of that year, I surrendered my medical license for many reasons. I opened up a new business, The Orthomolecular Vitamin Information Centre. That year I was sitting in the office of OVIC (Orthomolecular Vitamin Information Centre). Can you explain what orthomolecular is? Dr. Linus Pauling implied that the human body would function normally as long as it was able to obtain the right natural molecules that it needed in order to survive. As long as the body had the right number of amino acids, vitamins, minerals, hormones, and all these other things [nutrients], it was okay. Orthomolecular Medicine meant that we would emphasize the use of these natural components to provide treatment on the assumption that in most cases there was something wrong in these different elements [vitamins, minerals, amino acids and fatty acids, hormones, enzymes, etc.]. Dr. Linus Pauling published the term “Orthomolecular Medicine” in 1968 in an article in Science Magazine. It was a very major article. The term, Orthomolecular Medicine, was accepted with hostility, fantastic hostility and the medical community became extremely hostile to Dr. Pauling. They hadn’t heard about me so I didn’t get any of that hostility. But Dr. Pauling was a double Nobel Prize winner so he stuck his foot out. They said he was a mere PhD, in fact he had 48 of them. He also had many DSEs, Doctor of Science. But they [the medical community] said he ought not to be making any statements about the use of vitamins. In fact, it was Dr. Linus Pauling’s work with the structure of molecules and the reactions of molecules within the body that created the basis for modern medicine today. Orthomolecular Medicine means we emphasize proper nutrition; the use of vitamins in adequate quantities, which may mean large or small. Minerals, we use everything we can to help our patients get well. We are not against drugs. We are against the ways in which drugs are used today. We are in favour of the proper use of drugs. That is, in minor quantities and get the patient off as soon as you can. So, that’s Orthomolecular Medicine. What sort of results have you found using orthomolecular medicine? The main difference is that our patients get well. Now, the term “cure” does not exist in psychiatry. You didn’t know that, did you? If you look in the standard psychiatric dictionary, the word “cure” has been deleted because the average psychiatric point of view is that you cannot cure anyone. You cannot cure them, you can help them. You can relieve them of some of the symptoms but you cannot cure them. So that’s why they are contend ??? with some of the schizophrenic patients, who are placed on heavy medication so he’s no longer hallucinating, he’s not longer hearing voices, and seeing visions. The fact now that he can’t function; he’s sitting at home salivating and watching television all day, psychiatrists think that’s great. After all, that’s all they’re expected to do, they’re expected to merely get them out of the hospital so they can stay at home and let their family worry about them. On the other hand, we don’t have that view. My friends and I, in the field of orthomolecular psychiatry, we are aiming at recovery. A young patient I saw in 1973, I think it was, when he was 15 or 16, he was schizophrenic. I started him on the orthomolecular approach which meant paying attention to the right nutrition. Getting him off junk food, getting him on the right vitamins which in his case was vitamin B3, niacin. I think it was niacin. I only saw him once or twice because at that time I left Saskatoon to come here [Victoria, B.C. ], so I couldn’t see him anymore. Today he is on the Professorial Staff at Oxford University in England. He’s normal, he’s been normal ever since. I’ve seen over 5,000 schizophrenic patients. I know 17 men who were Schizophrenic in their teens, who recovered and became doctors. One today heads up a Pediatric clinic; he’s a graduate of Harvard University. One today is the head of a large psychiatric department in an American University. The third one became the head of the Canadian Psychiatric Association; he had been a patient of mine. These were young men who were seriously sick and who became doctors and who were able to practice. [With orthomolecular medicine] We are aiming toward recovery. We can’t always get there, but we try. There are 4 things you have to do to help people get well. 1. You have to give them shelter. You never get the homeless well. You cannot treat the homeless and half the homeless are schizophrenic. They’ve been very shabbly treated. There are no shelter. 2. Secondly, you have to have good food. You have to have really good food, as we all agree with that. 3. They have to be treated with civility; they have to be treated with respect. They have to be treated as humans. Today, unfortunately, in psychiatry, too often the patients are not treated that way at all. They’re badly treated, mistreated. They’re forced to take injections against their will, even though that’s against the law in Canada. 4. The fourth aspect of treatment is what I call orthomolecular. They have to be given the right combination of nutrition, vitamins, minerals, and medication if necessary. But the medication has to be used carefully and all to make sure the medication is not damaged in that process. If you blame anyone, who do you blame? You blame the drug companies? You blame the hospitals? You blame the government for not putting enough money in the system? You blame the food supply? Have you ever heard of anyone saying to the medical profession, “How come you don’t do a better job?” Have you ever heard that? Well, I think this has to be examined. If you go to a hospital and you say, “Why don’t you do better job?” They’ll say I will, give me more money, give me more staff, more doctors, more nurses. They don’t give a damn. You can give them 10 times more doctors. If you have the wrong treatment, the patients still won’t get well. Big Pharma controls medicine today. They give huge grants to the medical schools. Often times, these medical schools don’t have time to do any other studies. They just obediently work for the drug companies. Big Pharma controls everything. In the United States alone, in  they spent $19 billion dollars, $19 billion dollars a year advertising to doctors. They claim the advertising doesn’t persuade doctors, which is kind of funny. If the advertising didn’t persuade doctors, why would Big Pharma spend $19 billion trying to do that? They control the journals. Any medical journal today that you pick up, at least half the pages are drug ads. You’ll never find an ad for good food, you won’ find an ad for vitamins, you won’t find an ad for holistic health. You won’t find an ad for these things. We are really in a terrible situation. The system is really sick. You can quote me literally. I think the system is absolutely sick and it has to be changed. I’m not the only one who says that. The Province of Ontario said the same thing. The latest Senate Committee by Senator Kirby said the same thing. If you read his report, he says [the healthcare system] is dysfunctional. He called the Canadian Health Care system dysfunctional. That means it’s sick. All these people who have looked at it, studied it, written books about it, all maintain that the healthcare system is sick. And I agree. We have to do something about it. We have to do what you’re doing. We have to inform the public. We have to let the public know exactly what is happening. Because right now, they don’t know. “Experiments on mice have shown that throwing off their ancient circadian rhythms by artificially altering the length of their days has a substantial impact on their bodies and brains. This suggests that the modern, round-the-clock lifestyle, made possible by electric lighting, could disrupt metabolism and interfere with learning in ways that are only just beginning to be understood. Researchers put mice through 10 weeks in 20-hour light-dark cycles, instead of their natural 24-hour circadian cycle. After six weeks, the mice got fatter, showed less mental flexibility and were more impulsive. Dr. Mercola’s Comments: Time and again, research shows us the hidden price we pay for our 24/7 lifestyles. Lack of sleep due to over-crowded day planners, e-mail, web surfing, and other distractions take a toll on your health whether you realize it or not. As you probably know, the physiological functions of virtually all organisms are governed by 24-hour circadian rhythms. When your circadian rhythm – which acts like a built-in time-tracking system – is disrupted by late-night artificial light exposure, or being roused from sleep by beeping phones, it can have a profound influence on your physical and mental health and well-being. One of the worst things you can do to disrupt your body clock is to engage in regular night shift work. I realize many may not have a choice once they’ve chosen these professions, but it is vital to understand that when you regularly shift your sleep patterns because of a job like police, fire, or ER work, you are in fact sacrificing your health and longevity – in more ways than one. Round-the-Clock Lifestyle Damages Your Health in a Number of Ways: In this latest study, mice were kept in 20-hour light/dark cycles for 10 weeks to evaluate the effect on their metabolism, mental acuity and behavior. After six weeks, “the disrupted mice got fatter, showed less mental flexibility and were more impulsive than mice kept on their natural schedule,” Science Daily reports. The authors found changes in metabolic hormones, and “loss of dendritic length and decreased complexity of neurons in the prelimbic prefrontal cortex, a brain region important in executive function and emotional control.” Since the circadian system “drives” the rhythms of biological activity at the cellular level, disruptions tend to cascade outward throughout your entire body, which explains why the health effects of sleep deprivation and sleep disruption are so numerous. * Short term memory – Your circadian clock controls your daily cycle of sleep and wakefulness by alternately inhibiting and exciting different parts of your brain through regulating the release of certain neurotransmitters. The part of your brain known as the hippocampus must be excited in order for the things you learn to be organized in such a way that you’ll remember them later. If your internal clock isn’t functioning properly, it causes the release of too much GABA. According to a previous study, an excess of GABA inhibits your brain in a way that leads to short term memory problems and the inability to retain new information. * Creativity and learning performance – Proper sleep enhances performance, learning and memory by improving your creative ability to uncover novel connections among seemingly unrelated ideas. * Weight gain/loss – In addition to the study above, previous research has also demonstrated that lack of sleep affects levels of metabolic hormones that regulate satiety and hunger. For example, when you are sleep deprived, your body decreases production of leptin, the hormone that tells your brain there is no need for more food. At the same time it increases levels of ghrelin, a hormone that triggers hunger. * Diabetes and heart disease risk — Both too little and too much sleep may increase your risk of type 2 diabetes. A 15-year study of more than 1,000 men found that those getting less than six or more than eight hours of sleep a night had a significantly increased diabetes risk. A similar pattern has also been observed in the relationship between sleep and coronary heart disease. * Immune system – Research has found that when you are well-rested you are likely to have a stronger immune response to viruses than when you have not gotten enough sleep. It’s believed that the release of certain hormones during sleep is responsible for boosting your immune system. * Cancer risk – Disruption of your circadian clock may influence cancer progression through changes in hormones like melatonin, which your brain makes during sleep, and which is known to suppress tumor development. As you can see, the ramifications of engaging in a 24/7 lifestyle runs the gamut from minor stresses to life-threatening health problems! Yet judging by the poll responses mentioned at the very beginning, precious few are willing to take a much-needed look at their sleeping habits and make the required readjustments to their schedules and habits. I strongly urge you not to be part of the majority in this regard… Instead, take the following advice to heart. Reestablish a Natural Rhythm by Optimizing Your Light Exposure: Part of living in accordance with your natural circadian rhythm is to have consistent, regular exposure to bright light during the day, and sleeping in absolute darkness at night. 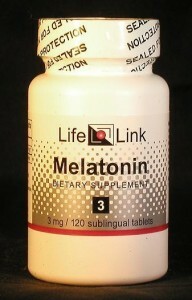 This optimizes your natural melatonin production. Unfortunately, while over-exposure to light in the evenings is typical, most of us are also under-exposed to light during the day! Most incandescent- and fluorescent lights emit very poor quality light, and what your body needs for optimal functioning is the full-spectrum light you get outdoors. If you’re stuck in a windowless office for the majority of your day, using full spectrum light bulbs can help ameliorate this lack of high quality sunlight. The reverse is true for the evenings. Ideally, once the sun sets, you’ll want to reduce the overall amount of light you’re exposed to. Here, using “low blue lights” can help. These light bulbs emit an amber light, opposed to the blue that suppresses melatonin production. Therefore, these bulbs are ideal for areas such as your living room, bedroom and bathroom. TVs and computers also emit quite a bit of blue light, which will zap your melatonin if you work past dark, so ideally, you’d want to turn these items off once the sun goes down. Once it’s time to sleep, make sure your bedroom is pitch black. I strongly recommend installing blackout shades for this reason, or use thick drapes. Make sure all the lights are off in your room and that no light enters your room from other areas, such as night lights in your bathroom or hallway. It’s important to realize that even a small amount of light, like that from a night light, or turning on the bathroom light to go to the restroom, can be enough to suppress your melatonin production for that night. So, if you have to get up, try to resist the temptation to turn on the light. This may be a bit more than you are willing to invest, especially if you live in temporary circumstances. So what I have found that works really well is a high quality eye mask. * Time spent in deep sleep. Unfortunately, many people are quick to pop a pill once they start having sleep problems. But sleeping pills come with numerous side effects and can cause more harm than good. Better alternatives include using the Emotional Freedom Technique (EFT), listening to a brainwave synchronization tape, or trying a natural remedy that can help you relax without the side effects. * Use full-spectrum light bulbs in your home and office during daytime hours. * Use “low blue lights” in areas where you spend most of your time in late evening, such as your living room, bedroom, and bathroom. * Turn off computers and electronic gadgets once the sun sets, and avoid watching TV late at night. Again, the blue light emitted from TV’s and computer screens mimic the blue light found in daytime sunlight, which can alter your melatonin production. * Sleep in total darkness! This is the “hidden” secret that most people tend to ignore, but which can dramatically improve the quality of your sleep. Personally, I sleep in a room that is so dark, it’s even pitch black at noon. Liberally use blackout shades and drapes to achieve this. * Sleep when it’s dark outside and get up when the sun comes up. At minimum, strive to sleep between 10 p.m. and 6 a.m. This means you should be in bed, with the lights out, by 10 p.m. and be up by 6 a.m.
* Avoid working the night shift. It’s been linked to significantly lower levels of serotonin, which may cause sleep problems, anger, depression and anxiety. If you currently work the night shift, I would strongly suggest trying to switch your hours, or at the very least not keeping the night shift for longer than a couple of months at a time (and giving your body a chance to readjust in between). Did you know that common over-the-counter drugs or prescriptions can cause memory loss and cognitive impairment? Mild cognitive impairment is a common, age-linked condition that is often an early sign of Alzheimer’s disease. Its cardinal symptom is forgetfulness or impairment of short-term memory. Numerous drugs have been shown to produce mild cognitive impairment (MCI). They may create or aggravate Alzheimer’s-type symptoms. Most of the drugs that cause MCI have a property called “anti-cholinergic.” They inhibit activity of the neurotransmitter acetylcholine, which plays a critical role in memory and cognitive function. Here’s the problem: only a few of these drugs are officially classified as anti-cholinergic. The official anti-cholinergic drugs are mostly used for relieving intestinal cramps or bladder irritability and are labeled “anti-spasmodic.” They’re at the top of the list below. But there are 17 additional types of drugs used for many other purposes that may also have anti-cholinergic effects. The list includes commonly used drugs like antihistamines, acid blockers and antidepressants. Unfortunately, many doctors and pharmacists are unaware of the anti-cholinergic properties of these medications. In an address to the American Academy of Neurology at the 60th Annual Meeting, Dr. Jack Tsao, associate professor of neurology at Uniformed Services University in Bethesda, Maryland, said, “… a lot of medicines that are not advertised as anti-cholinergic in nature actually have anti-cholinergic properties.” Dr. Tsao and his colleagues followed a group of nuns and clergy from the Rush Religious Orders for about eight years and found an accelerated rate of cognitive decline in those who began using anti-cholinergic drugs. Several published studies have also shown that people taking drugs with hidden anti-cholinergic effects are at increased risk for MCI. It is likely that these drugs have additive effects: the more anti-cholinergic drugs a person takes at one time, the greater the risk of side effects. Because the list is long and includes drugs used for many different purposes, it is possible for an individual’s total burden of anti-cholinergic drug activity to be much higher than expected. In addition, advanced age is associated with increased susceptibility to anti-cholinergic drugs because of a reduction in acetylcholine activity with age. If you’re concerned about MCI in yourself or someone you know, check the list of drugs below to see if medication might be contributing to the problem. Some of these are available without prescription and may be found alone or combined with other drugs, especially in over-the-counter cold and headache remedies. Don’t just rely on the product’s name. Check all ingredients. Bring this information to your doctor. Do not discontinue the use of any prescription drug without your doctor’s approval. A medication does not have to be swallowed or injected to exert systemic effects. In addition to memory loss and cognitive impairment, anti-cholinergic drugs may cause nervousness, confusion, disorientation, hallucinations, restlessness, irritability, dizziness, drowsiness, blurred vision and light sensitivity. You should know everything that you or people in your family are taking: drugs and supplements and their potential side effects and interactions. If cognitive impairment is a problem and you’re taking one or more of the substances listed above, what you’re taking may be a cause or contributor.